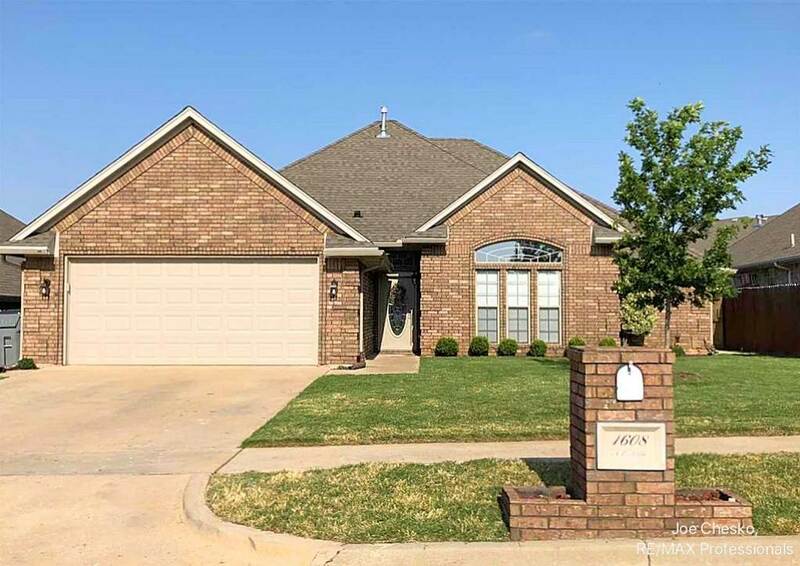 Lovely, well-cared for home in Heritage Hills with 4 bedrooms, 2.5 baths. This home features granite counter tops throughout with under-mount sinks, solid wood doors, 4 spacious bedrooms with tray ceilings and walk-in closets, huge utility room with lots of storage cabinets, brand new 50 gallon gas water heater. All bathrooms recently renovated with new toilets, showers, and countertops. New carpets, garage door, and stainless steel appliances installed in 2016. Separate dining can serve as dinette or second living area. Large family room with ventless gas fireplace. Master bath with double sink, granite counters, 6 foot whirlpool tub and a separate custom onyx collection shower. Wood privacy fence and large covered patio. Less than ten minute commute to Fort Sill. $224, 900. Call Joe for your private showing today! 580-357-1200.